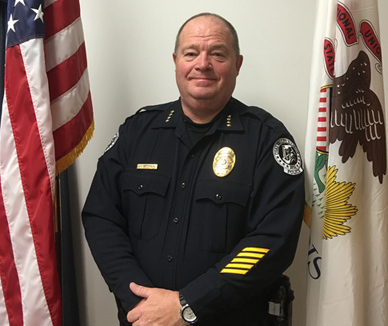 Our mission is to provide excellent service and protection through leadership and partnership with the community of Coal Valley. We will accomplish our mission by being leaders in the community and working hand-in-hand with the public to make Coal Valley a great place to live. For pre-recorded Illinois Road Conditions information, please call 1-800-452-IDOT (4368). * If you are going out of town- place your home on our vacation watch list. It's free! If your neighbors are out of town, watch their home too. * REMEMBER- IF SOMETHING DOESN'T LOOK RIGHT, IT PROBABLY ISN'T. CALL, LET US CHECK IT OUT. We would rather respond 10 times for a false alarm than not respond the one time it was valid. *Carry an emergency kit you your car when you travel. You might want to have a sleeping bag in the car on longer trips. Flares and flashlights should be kept dry. Alert those at your destination so they can anticipate your arrival and notify them of any significant delays. This has been a public service announcement from your police department. 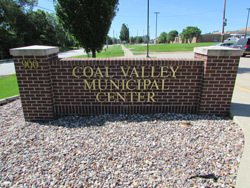 The Coal Valley Police Department requires all neighborhood vehicles to be registered with the Village for a one-time fee of $100.00 per vehicle. Registration Form. The ordinance that references neighborhood vehicles is Title X, Chapter 2, Division I, section 10. If you have purchased a neighborhood vehicle please call the Police Department and schedule a time for an inspection. The Coal Valley Police Department is compiling a list of persons with special needs and disabilities for use during times of disasters in our community. Persons with disabilities that would prevent them from being able to evacuate themselves, are on a life support system that can not be easily moved by them, persons who are bed ridden, blind persons with no assistance available to them, and any other person that feels that they would need assistance during any needed evacuation operation. We would also use this list so that we may check on persons with special needs to check their welfare during emergency times. We will need the following information: Name, age, address, phone number, and type of disability or special need of the requesting person. The information will be kept confidential and only disseminated to rescue and police personnel during times of emergency. Any member of our community that knows of someone with special needs to please call our Police Dept. and give us the name, address, phone number, and the type of disability that person has so that we may contact them to determine if they would like to be added to our emergency list. As as public service the Coal Valley Police Department offers "Patrol Checks" for those residents that will be on vacation or that will be going away for the winter. You may stop by the Police Department and fill out one of our Patrol Check forms or you can print the Patrol Check form by clicking the link below and mail or bring in to the Police Department. During the time that you will be away, the Police Department will make Patrol Checks on your residence. If you have any questions you may contact Sandy at 799-5416 Monday - Friday, 8:00 to 4:30.